We believe advertisers should invest in digital advertising that is viewable by a real human who is in our target audience, served in an appropriate editorial environment and underpinned by independent industry certification and third party verification, while being mindful of user-experience and privacy. 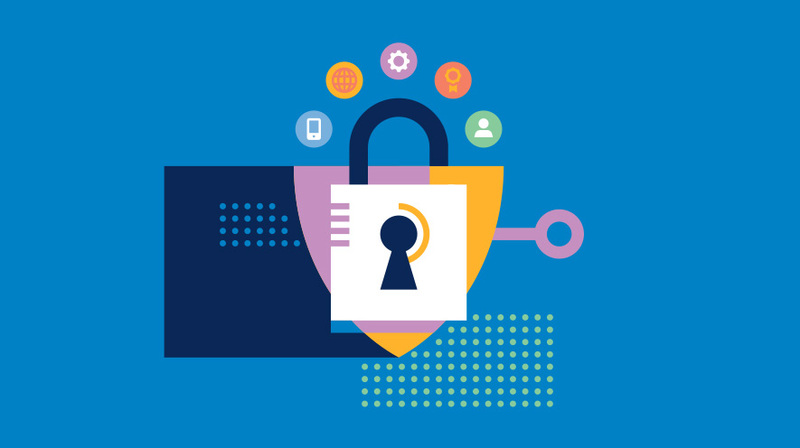 GroupM’s brand safety definition covers all areas of risk in the digital inventory supply chain. We are committed to operational excellence, robust third party verification whenever available, close industry cooperation and vigorous contractual protection. GroupM believes an ad that is not viewable has no value. We have been leading industry action on viewability since 2014. In addition to participating with local associations and forums to push for enhanced standards and measurement, GroupM has fiercely advocated for quality with and on behalf of our clients. This includes recent updates to our ambitious GroupM viewability standard. We are committed to technical, contractual and operational methods to permit true assessment of viewability. GroupM has zero-tolerance for online advertising fraud. We strongly believe the digital advertising market should be trustworthy – and we have invested significant time, effort and other resource to tackle this industry-wide issue. We have led or participated in every initiative to combat fraud worldwide, including helping to establish the Trustworthy Accountability GroupM (TAG) in the U.S. which is expanding internationally. We are committed to mitigating all risks to our clients by leading in standards development, supporting industry initiatives and upholding the highest standards of integrity. GroupM believes our clients’ digital advertising should be delivered in an appropriate editorial environment offered by trusted partners who embrace third party measurement and verification. We manage contextual brand safety through a combination of trading (buying from trusted media owners whenever possible), contractual protection (protecting our clients contractually), operational procedure (defined processes to monitor and media inventory via third party verification), and industry accreditation and co-operation (leading or supporting industry wide action on the matter while accrediting our business as well). 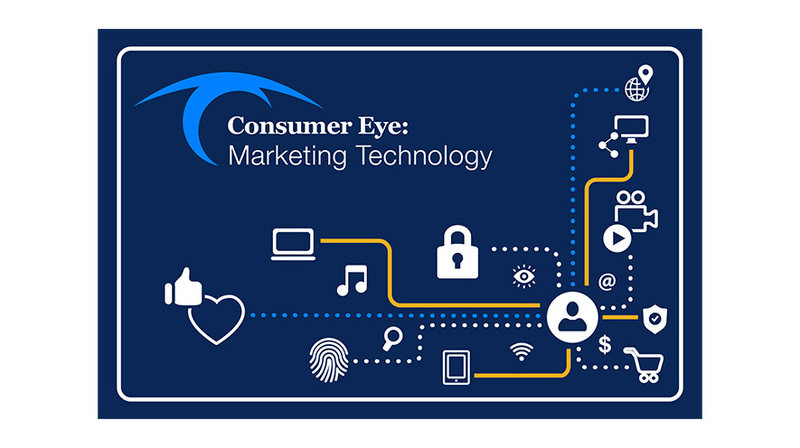 GroupM is committed to using non-intrusive and non-interfering ad formats. We are one of the founding members of the Coalition for Better Ads, formed to improve consumers’ online advertising experience. We also support all industry-adopted best practices such as IAB’s LEAN Ads programme. Responsible and lawful data processing of consumer personal data is our priority. Beyond our commitment to compliance with relevant data protection laws across the world, our ambition is to uphold the most ethical and best practices regarding processing of people’s data in support of relevant advertising message delivery. 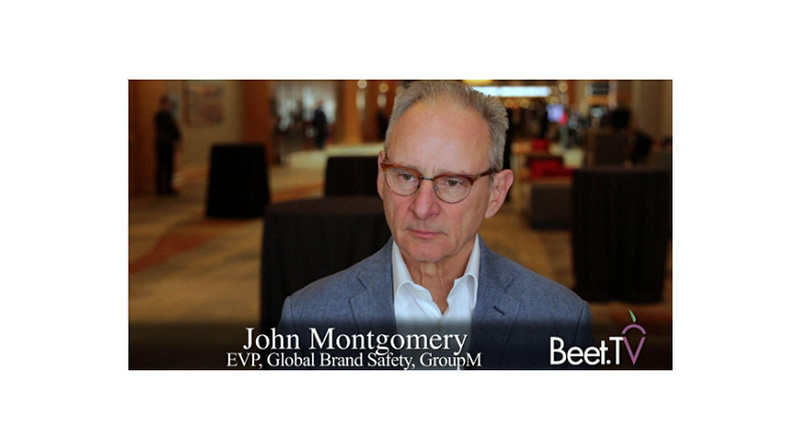 GroupM has been leading industry efforts to prevent ad misplacement on websites which infringe intellectual property rights. We take all available measures to prevent the misplacement by using third party verification, deploying media vetting processes, optimizing buys and implementing GroupM Blacklist by default (where legally permitted and applicable.) GroupM not only fiercely supported the creation of Trustworthy Accountability Group (TAG) but is also TAG certified against piracy. We believe that third party measurement is an industry imperative and should be supported by all companies in the advertising eco-system. Third party verification, underpinned by industry accreditation and independent audit is of paramount importance for ensuring satisfactory levels of media quality. We advocate for use of the verification technology across all devices and channels, including social, and call on our partners to align better on the measurement and reporting methodology. Joe Barone is Managing Partner, Brand Safety, Americas for GroupM, the world’s largest media buying organization. Joe has helped pioneer the industry’s move to a more transparent, accountable digital inventory supply chain, working to ensure clients get full value for their digital advertising investment. Joe’s focus is on developing and executing GroupM’s marketplace position on Brand Safety elements including viewability, fraud detection and prevention, consumer digital privacy, anti-piracy, and insuring clients ads appear in positive, relevant advertising environments. He has spent the past 7 years shaping Groupm’s practice in North America, and recently was named to a new post adding responsibility for supporting the Latin America roll out of these trusted supply chain practices. Joe has been buying digital media since 1994, when Hotwired.com became the first publisher to offer banners online. He continued to move in the leading wave of the digital media landscape, through the portal period, on into content integration, advanced targeting, mobile, social, and performance based buying. Before moving into a full time Brand Safety role, Joe managed the US Brand Safety practice, and also managed the US Groupm Digital Traffic team, was engaged in ad-tech systems development, publisher and ad tech vendor contract negotiations, and process re-engineering/ workflow analysis, all in support of GroupM agencies including Mindshare, MEC, MediaCom, Maxus, Essence, MetaVision, and Xaxis. Joe is currently a member of many US industry working groups, including the IAB Ad Operations Advisory Committee, Open Measurement Working Group, Modernizing Measurement Task Force, IAB Ad Blocking Working Group, the Coalition for Better Ads, and the Trustworthy Accountability Group. Joe was 2015-16 Chairman of the MRC Digital Committee, sits on the AAM/IM Services Advisory Board, and is Chairman of the 4A’s Digital Operations and Technology Committee. With 16 years of experience working on the front line of digital advertising at Yahoo! then Microsoft, Bethan started her career in display advertising and then moved to search operations, before joining GroupM in 2015. Her current focus is on media quality and data integrity policy, process and governance to support GroupM’s digital strategy. Having previously worked as an agency advocate in Brussels on many challenging issues for the ad industry, such as privacy and consumer protection, Stevan joined GroupM in 2017. He supports the company’s digital operations by looking after all areas of digital risk, and underpinning media quality processes and governance. Crystal has nearly 10 years professional work experience in China integrated marketing and e-commerce industry, together with the china digital marketing and advertising technology industry. She first joined UBM, a global leading trade show company for nearly 5 years focusing on the “Technology for Marketing and Advertising” event, which gave her a comprehensive view of the international and local marketing and advertising industry landscape. Then, driven by the eager of in-depth understanding of technology and data, she joined Sizmek for almost 3 years, which gave her first-hand knowledge of digital advertising. Now, she has joined GroupM, responsible for China Brand Safety, committed to a healthy Brand Digital Marketing and Advertising industry. Colleen Ngo is Head of Partnerships & Investment for Xaxis, Asia Pacific. She spent 2 years overseeing the Supply business at Xaxis before transitioning to represent investment needs alongside GroupM. Colleen possesses over 10 years of digital advertising experience spanning across the United States and Asia Pacific. She relocated from Yahoo!’s US headquarters to Hong Kong and then Singapore, building APAC’s Direct Response business and productizing Yahoo!’s performance marketing solutions. In Singapore, Colleen headed the Marketing team for Brightcove APAC, where she oversaw the marketing strategy. Colleen then led the programmatic adoption of SSP technologies across major media publishers in Asia at Rubicon Project. Educated at the University of California, Berkeley and Beijing Normal University, she speaks both Cantonese and Mandarin. Ashok Chandra manages privacy compliance, monitoring developments in privacy regulation and providing counsel for GroupM and its agencies across North and South America. Previously, Chandra served as an in-house attorney at Bloomberg LP and MetLife, counseling on issues related to intellectual property and privacy law. He earned his M.B.A. from New York University’s Leonard H. Stern School of Business, his J.D. from Fordham University School of Law and his B.S. in biochemistry from the University of Texas–Austin. Julie Kandel is Senior Partner, Director of Brand Safety North America at GroupM. Julie is a subject matter expert in brand safety verification. Her current role focuses on operationalizing the brand safety practice for GroupM and its agencies across North America. This includes managing custom development with preferred verification vendors and Agency team support. Prior to this role, she was the Director of Campaign Management at GroupM which included process optimization, workflow improvements, technology and new client onboarding. Julie has over 16 years of experience in digital media from planning, buying, analytics and operations, since joining Mindshare in 2005. Julie graduated with a degree from Syracuse University’s S.I. Newhouse School of Public Communications.